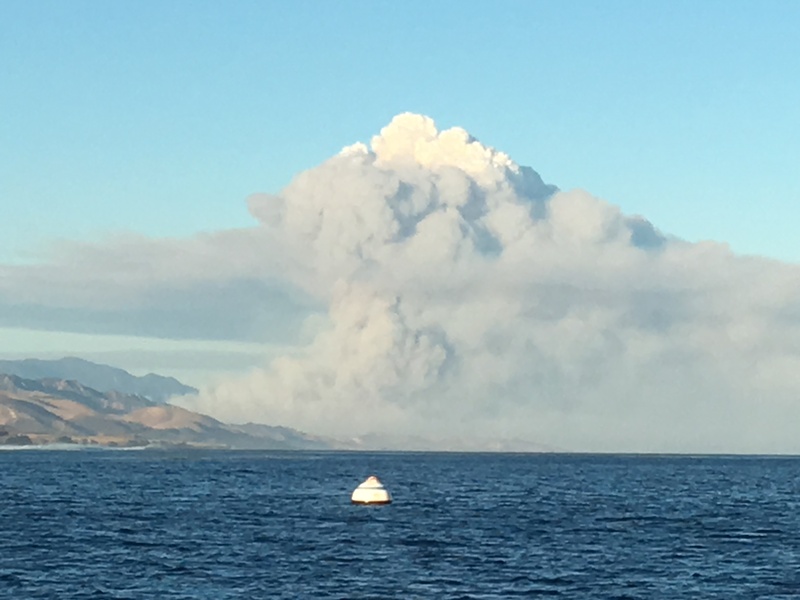 7:30 pm; June 16, 2016: Sundowner winds blow the Sherpa Fire down from the Santa Ynez Mountains and onto the coastal terraces west of Santa Barbara (as viewed from the comfort of Cojo Anchorage). Dry season conditions of this kind have been common so far this winter. The Los Padres National Forest covers about 1.75 million acres. 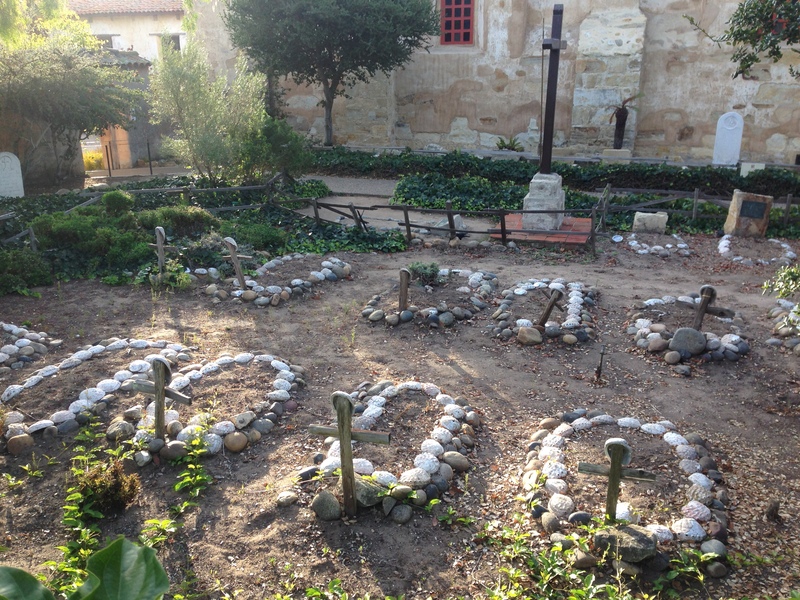 The northern boundary, near Carmel Valley, is over 200 miles from the Forest’s southernmost point, near Los Angeles. As fire restrictions are imposed Forest-wide, strict prohibitions on campfires tend to remain in place in the Big Sur area, even after substantial rain, so long as the southern end of the Forest remains dry. 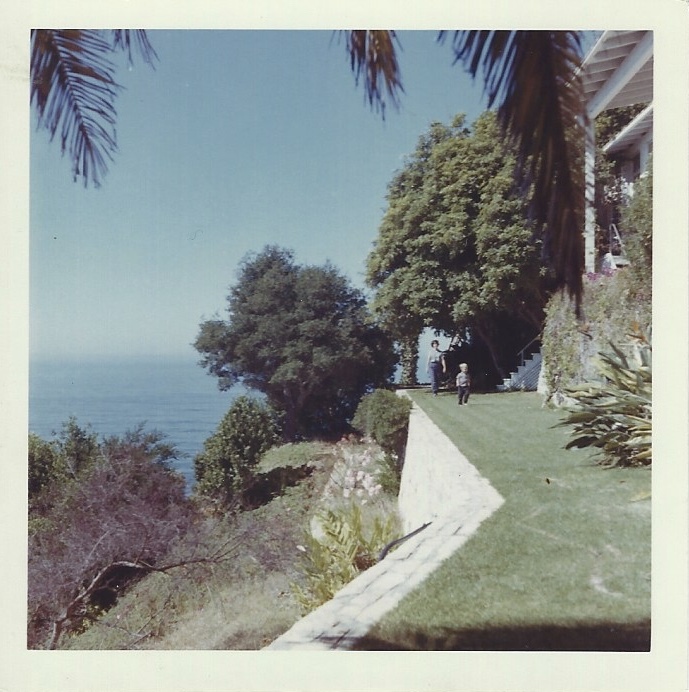 Alexander Eells with John Muir and Muir’s daughters Wanda and Helen. 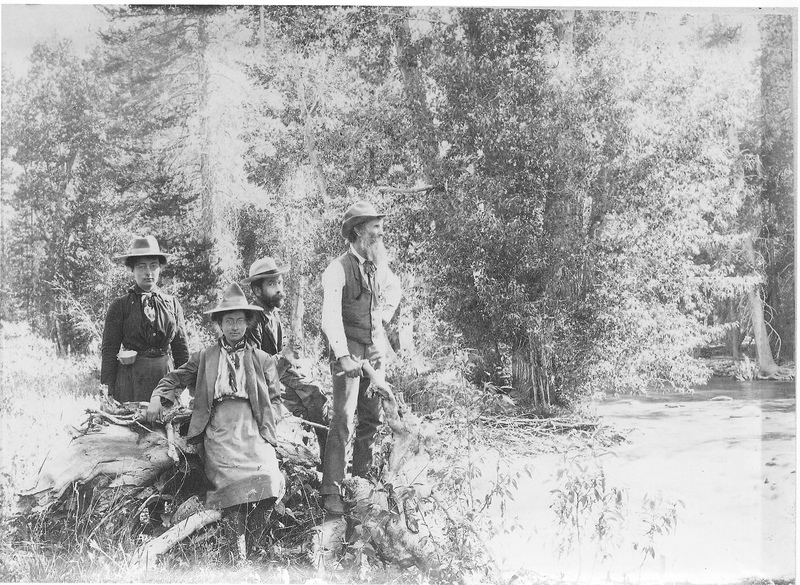 Photo probably taken in Paradise Valley, above Kings Canyon, in July, 1902. Wanda and Helen would have been about 20 and 16 at the time. Eells later tried to bring his wife and young daughters to the high country, but his in-laws thought the idea was outrageous and strenuously objected. The Santa Lucia Mountains are very young. At just 5 million years old, they are still in the process of being born – punching upward out of the Pacific faster than the forces of wind, waves, rain, and gravity can wear them down. Their steep, unstable seaward wall, rising to over 5,000 feet at Cone Peak, is constantly eroding, sliding and collapsing into the sea. 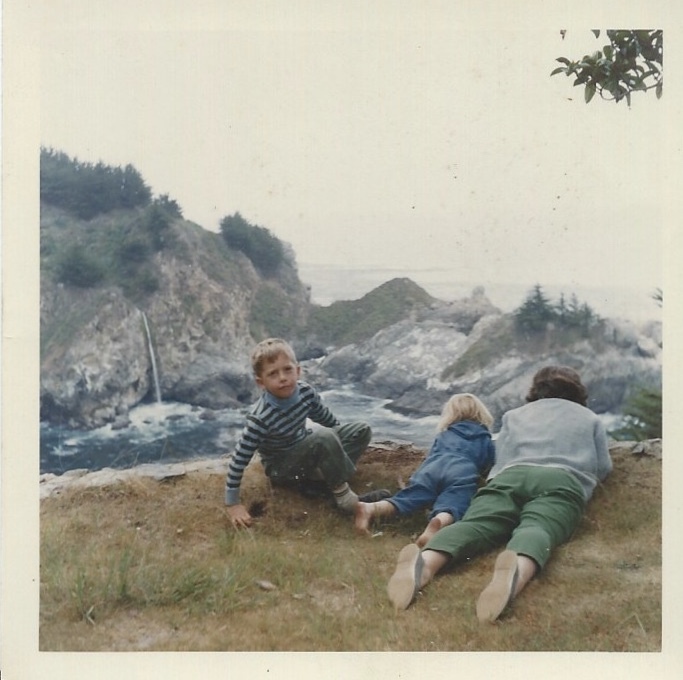 At the Waterfall House with my mother and sister in 1966. Notice how the waterfall drops directly into the ocean. 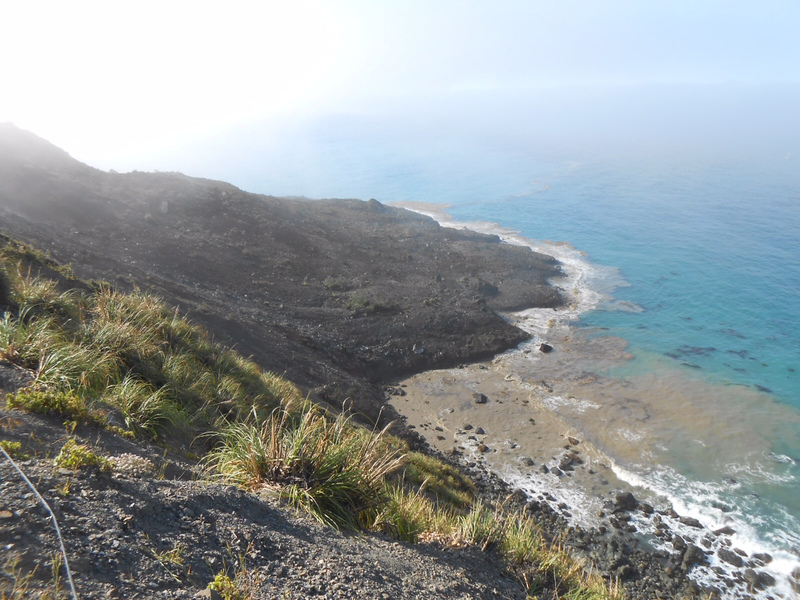 The beach formed after a 1983 landslide put a huge amount of material into the ocean just to the north. Mom and Sis on the terrace. 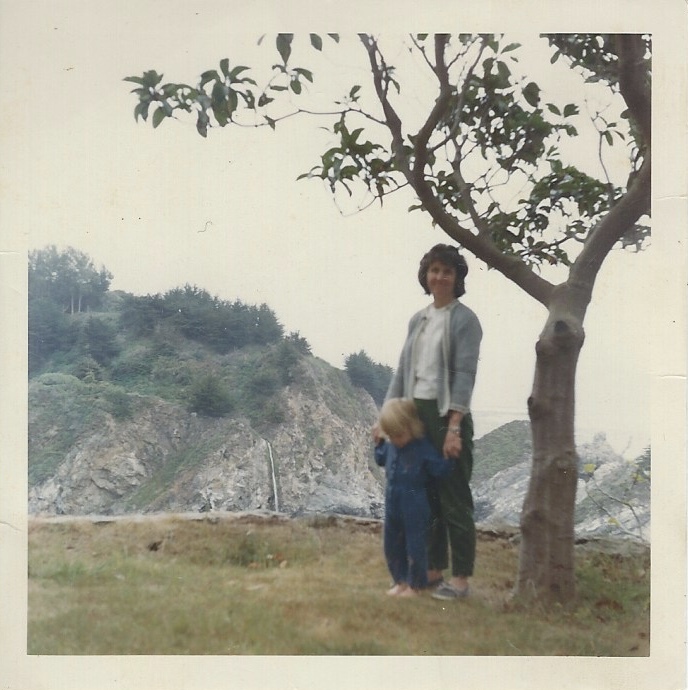 Leading Mom around the house (I think this photo is from 1963). To get there, we rode down from the Highway on the funicular car.